Asset protection is a way of setting up your assets so that they can’t be taken or dragged into litigation by someone else. God forbid, if you or a beneficiary needs to file bankruptcy. Some Assets Are Already Protected By State Or Federal Exemption Laws. Homestead – $150,000 of the equity in a homestead is protected. Personal items – Many personal items may be exempt, but there are dollar value limits on these items. Household goods – Some furniture, electronics, and appliances up to $6,000 may be safe. Certain income and judgments – Some benefits, income, proceeds from judgments, and retirements accounts are protected. Assets that are not exempt by law need their own layer of protection. Some of the strategies you can consider are listed below. But BEWARE: asset protection done wrong can be a state or federal crime (fraud) and can land you in more trouble than it was worth. Take steps carefully and with the guidance of an attorney who knows what they are doing. By using an asset protection attorney to help strategize, you also get the protection of their malpractice insurance. Converting non-exempt assets to exempt assets. A family limited partnership may protect assets for future generations. Irrevocable trusts may protect assets, but there are certain restrictions and limitations. Certain business entities can offer protection from liability and creditors. 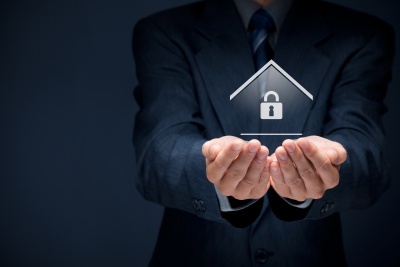 Asset protection trusts can separate your assets from a creditor’s reach. As with most asset protection plans, the end result is not an absolute guarantee of protection but rather a plan that has built another layer (or multiple layers) of protection that make it more and more difficult for anyone to break through. Have questions about asset protection and whether you need it? Call (480) 418-8448 to schedule a Free Case Evaluation of your asset protection plan.